131 Marshall Street , North Tazewell , Va 24630. Neat, Clean & Cozy Home located on a large, semi- Private Lot 4 bedrooms, 2.5 Baths; Den , Kitchen / Appliances and Bar, Finished Basement , Large rooms;; Many newer updates. Priced to sale ! Only $ 79,500. -This is a Must See ! 1349 Clearfork Rd. Tazewell, Va Attractive 3 bedroom, 2 bath home on 4.97 acres of land. Private location close to town. Beautiful scenery, large front porch, nice deck on the back, large 2 bay garage with office area. Many extras. Must see! $169,500. Reduced! 5402 Baptist Valley Road, North Tazewell, Va 24630- More for your money. Attractive 3 bedrooms, 1.5 baths, large kitchen and dining combination, newer heat pump, wood burning stove, hardwood floors, newer metal roof and windows. Brick rancher on 2 lots with attached carport, a garage and paved driveway. All for only $92,500. 501 Steeles Lane, Tazewell, Va- Reduced! Handy Man Special. 2 Story All Brick Apartment Building. One apartment on each level ; each apartment has 3 bedrooms and one bathroom, each with single brick Garage ; each with porch and separate entry. Town water ; sewer ; garbage collection. Convenient location. Good Investment property. Handyman special. Sold as is and where is. Selling Price: $39,979. Reduced!112 Watts Street, North Tazewell Va 24630 Clean 3 bedroom brick house with large living Room , spacious den with stone fireplace and wood stove and bar area; Kitchen / dining area/ New appliances ; 3 bedrooms ; 1 ½ baths ;large back patio ; storage room and storage building. On level lot .New Pergo laminate Floors and new carpet through out home; new windows ;Some new dry wall ; new light fixtures, counter tops & water heater. Many new improvements !Come and See ! Owner / Agent Now only $103,500!! 182 Easy Street, Cedar Bluff - 2 bedroom, 1 bath completely remodeled in 2006. On 3.012 acres of beautifully manicured land. New tile and wood floors and crown molding throughout the house. Modern kitchen with many cabinets and snack bar. Formal dining room and living room. Master bedroom with walk-in closet and full bath. Upstairs one big, long bedroom, could be divided. House is on county water and has a private septic and has a well for outside use. House has a newer heat pump and gas heaters. Full unfinished basement. House has a side deck with an entrance to the living room. Plenty room to expand. Many extras, must see. Shown exclusively by B & B Realty, Inc. $129,500. 8766 Dry Fork Road , North Tazewell , Va . 24630. Need a big building , garage and land around it for : ??? A place to put your : ATV s ; Boats ; campers ; A mobile home ; antique vehicles ; all of your wonderful valuables ; A repair shop ; a hobby shop; ??? ?Or a what ever you need or desire Place ??? Here it is !!! This is it !!! Make your dream come true ! Garage 30ft X 41 - 3 garage doors / remote control , water available. Land: also Has a house : House needs much work ; 3 parcels Land. Selling Price : $52,500. 631 West Riverside Drive , North Tazewell , Va 24630 - Attractive 2 bedroom, 1 bath home , recently updated with many major newer features; Covered Front porch ;back deck; Nice lot conveniently located . Must See! Great beginning or retirement home. Shown exclusively by B&B . Only $57,000. 200 Ball Street, Bluefield, Va (Abbs Valley)- A great place to begin! 2 bedroom, 1 bath Fleetwood mobile home, furnished and in great condition and very clean! Private location, county water, large covered front porch with spectacular views on approx. an acre of fenced land with a storage building. Only minutes to Bluefield or Tazewell. All for only $35,000! Lots at 381 Hopkins Street Tazewell , Va. 2 nice Lots / access to Public Water & Sewer Priced below Tax Assess Value Fronts on Paved road in Front & Back. Only $8,500! Reduced Commercial Land for sale : Picture your business here at Exit 4! Right at 19 & 460 Approx. 5.5 acres $35,000. Call or e-mail for more info. Mountain View Heights –Blackwell St. in the Town of Tazewell (Data is not warranted ; Subject to Buyer’s verification ) Access to Town Water & Sewer – Fronts on paved Town maintained Rd. $14,500. Nice convenient Location ! Ride by –Take a Look ! Call B&B for more info. 1176 Dry Fork Rd. Bandy , Va.24602 Land – Approx . 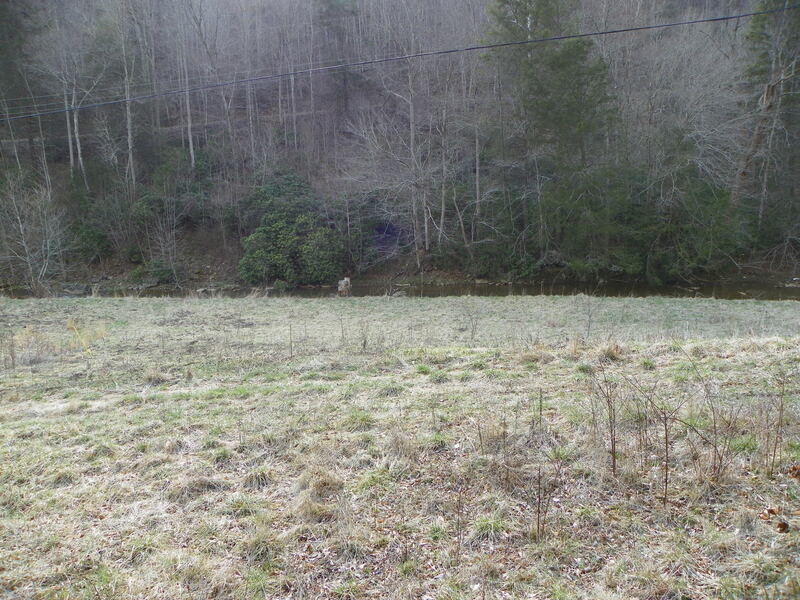 5.06 Acres Improved / septic system & county water hook –up; Electric available –nice Stream on Property; Plat Available at office, only . Lot # 10 - 1.59 Acres $7,500. Reduced! Lot # 11- 1.42 Acres $7,500. Reduced! Lot # 12 - 2.53 Acres 10,000. What about the Sunshine State ! Call office for more information ! 276-988 7431 OFFICE B&B REALTY, INC.
Information subject to buyers verification. We are not liable for incorrect information or typographical errors. B & B Realty, Inc. is a Virginia licensed Real Estate Company.